Subject: Does a Bitcoin Fund Belong in Your Retirement Account? At first blush, adding any sort of Bitcoin investment to a retirement account may seem overly risky. After all, the Bitcoin price soared 10-fold in about two months at the end of 2013, only to fall by about 50% by April. Bitcoin now trades around $660 – still far from its all-time high of $1,147.25. But Bitcoin can easily be considered an "alternative" investment. In recent years, many retirement investing experts have begun to advocate setting aside up to 10% of a portfolio for alternative investments. That covers almost any investment outside of stocks, bonds, or cash. Some alternative investments, such as hedge funds, are beyond the reach of retail investors. But retail investors can buy alternatives like real estate and commodities, such as gold and silver. That's where the new Bitcoin funds come in. Once approved, retail investors will be able to buy the Winklevoss Bitcoin Trust on the Nasdaq like any other exchange-traded fund. The Bitcoin Investment Trust will only be slightly trickier, as it will trade on an electronic marketplace operated by SecondMarket and affiliated with OTC Markets. 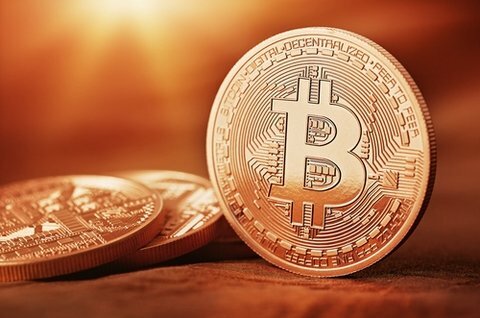 Both of these Bitcoin funds will be based on the current Bitcoin price, and both funds will buy and hold actual bitcoins to back the shares that they sell. In fact, it's possible now for accredited investors (individuals with at least $1 million in assets or net income of $200,000 a year) to add shares of the Bitcoin Investment Trust to their retirement account. Tatar's move is noteworthy because he is a financial advisor not associated with the Bitcoin community. That he considers a Bitcoin fund a valid alternative investment shows just how much traction the digital currency is starting to get in the world of conventional finance. Remember, retirement investing is among the most risk-averse segments of investing. No one wants to lose any significant portion of their nest egg. I am not sure that I would take the risk. Maybe bitcoins are an alternative investment for younger investors who have time to recover. I was just reading several posts on the site Retirement And Good Living and it seems to me that most who are approaching retirement are risk averse to the point where they would not take a chance on bitcoin investments. Unfortunately only time will show as what will happen will cryptocurrencies. Now everything grow up and the future looks fine, but..